At HOPE, we're committed to making the highest quality cannabis products. to produce the industry's best cannabis products. HOPE uses proprietary terpene blends in our distillates to provide specific effects tailored to the unique needs of our customers. 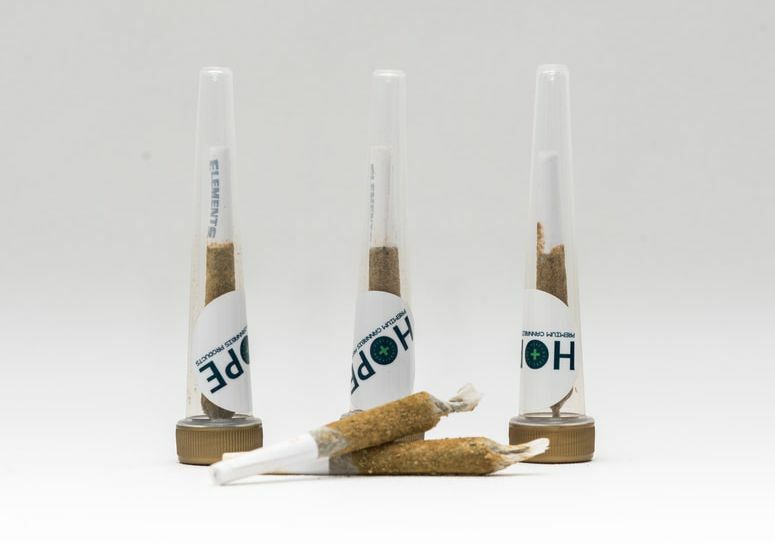 Using only the finest cannabis strains, we produce HOPE Diamond pre-rolls by painting them in pure cannabis oil and then rolling in kief - providing one of the best experiences of any smokable product on the market. HOPE brings you the best of both worlds with our Cannabrew infused cold-brewed coffee that combines high quality coffee beans with premium cannabis extract. HOPE's line of effect-based oral sprays were designed to provide specific effects with minimal psychoactive response. HOPE's oral sprays contain proprietary cannabinoid and terpene blends that provide consumers with the precise effects they desire.